My blog about Office 365 and Microsoft in Education. 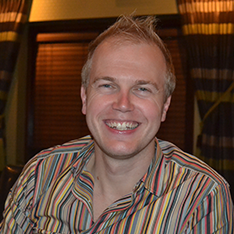 I have been spending a lot of time in Powershell over the last week and have learnt a lot about how this great tool can customise SharePoint 2010. As part of the project we have created a set of custom site templates and I had to create a new school with several custom site templates. In a previous post I have listed the out of the box site templates which you might need to create a site through powershell but now you need to create one with a custom template ID. To get this ID you need to create a PowerShell file (.ps1) with the below script. You will then see the a list of all different IDs and names. How many ways can you use SharePoint in Education? There are many ways to get SharePoint 2010 in your school, whether you’re using it as part of a package from a supplier, using a hosting company to host your own SharePoint or using your EES license to host your SharePoint internally. All of the successful SharePoint implementations I have seen are those that have integrated SharePoint into their daily school lives and don’t use it as just another web page that student and teachers use if they want to. There are loads of great examples of how schools use SharePoint in their school and have a 100% adoption rate but how can this be done for your environment? I often talk to different schools about this very subject and I split the conversation into three different sections, management, learning and social. These three can be tackled by the school one at a time or all at the same time but each of these can help you integrate SharePoint into your school. Whether you are looking at going with a third party hosting solution or building your own SharePoint, consider the following and ensure you can achieve these with the solution being provided. Any process in your school, whether it’s the approval of staff external training, hiring of equipment from IT or keeping the staff calendar up to date it, has a process from the request to information staff of the change/approval. SharePoint can help in any of these and any other process that comes to mind. Let’s take a look at how two of these processes can be used within in SharePoint. Example – A member of staff requested some Maths training. 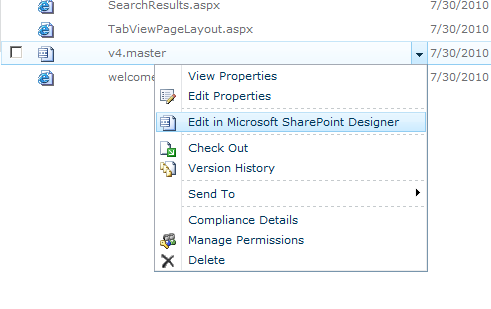 Navigate to the CPD site on their SharePoint and click on ‘’new request’’ which opens up Microsoft Word. They fill in the request and click ‘’save’’ which saves the document back to the CPD site. In the background, SharePoint is doing its thing and has emailed a copy of CPD Request to your manager for approval. They then open their email and get a link to the document which opens up in Internet Explorer using Office Web Applications and shows them the request you have made. They are happy and so they click ‘’approve’’ in SharePoint which sends off the email the finance department letting them know to send a purchase order to the training provider. During this time, two other emails have also been sent, letting the Timetable Manager know that you will not be in school on that training day and therefore need to arrange cover. The other email is to let you know that your course has been approved and you can attend. Example – You want to borrow some digital cameras from the ICT Support department. Navigate to the SharePoint page they have setup. You click on ‘’digital cameras’’ which loads a page that looks similar to your Outlook calendar and you look for you the time you want. You can see that another member of staff has them already booked at that time so you decide to use them the next lesson. You have to fill out an online form that includes the date and time and the room you require them in. When you have submitted the request, an email is sent to the ICT support team who approve the request. The day arrives for you to use the cameras but you are worried you don’t know how to use them. Help is at hand. Go to the same SharePoint page the ICT Support department use to book the cameras, see that they are still booked and there is a help wiki that’s been setup on the cameras which shows you everything you need to know. Pupils are given out worksheets all the time in class which, 9 times out of 10, are generated in Word or printed off the internet. Why give them something that can be lost, screwed up in the bottom of the bag or used as an excuse for not doing their homework? SharePoint is a great tool for document storage and management. You can store any type of document and even edit Word, Excel, PowerPoint and OneNote in your internet browser without having to have these installed on your computer or smart phone. Documents can be tagged allowing you to easily find content with a same relevant name. As the English teacher, you can upload content for your Romeo and Juliet topic and tag all the documents with Romeo and Juliet included. With the right setup, it will automatically tag the documents with English and Shakespeare. There is always and underlining question where to use social networking in a school. Personally I believe that students use it every day out of school, so we should be doing the same within the school and integrate into their education. SharePoint can help in many ways with an educational stance. During the learning section of the post we talked about the ability to tag documents. In SharePoint 2010 we can use these tags within the User Profile services. A student can subscribe to one of these tags allowing them to see content as it is uploaded. 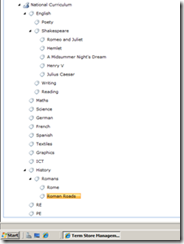 As a student, I am working on Romeo and Juliet in English and I see Romeo and Juliet in a Tag Cloud. This then allows me to see all updates made to this tag, giving me more information on each of my subjects as other use it in the school. 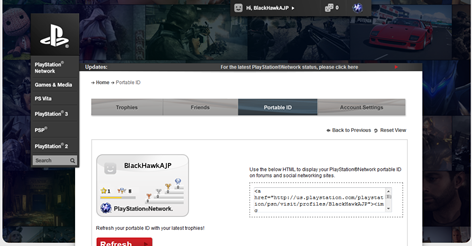 Each user has their own ‘’profile’’, allowing them to upload an image and give some general information about themselves. SharePoint allows us to manage this so don’t be worried if you don’t want photos. One of the features is the ability to say you are an expert in a subject. 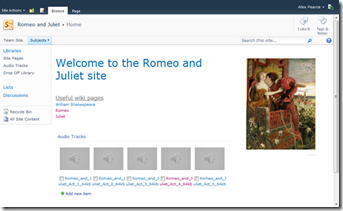 Link this to your tagging (like Romeo and Juliet) and a student can then use SharePoint Search to find the most relevant documents, the ability to filter and the most relevant member of staff who can help them on that subject. Whatever the learning asset, document or process it can be done in SharePoint, don’t be afraid to ask someone on twitter or on a community forum such as Edugeek or the SharePoint User Group. I’ve had a lot of requests of this post recently and I was hoping to get another blog post about SPSUK out quicker than this but here is how to pull information that is stored in a document properties in SharePoint into your word document. 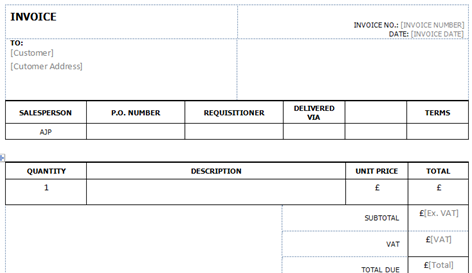 I have a document library with loads of different columns that sort information that I want about my invoices. 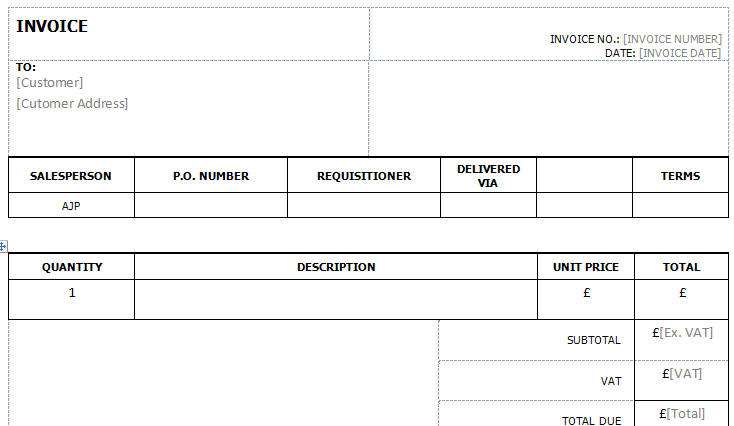 These range from single line of text , date and lookup fields. I can now start to add these properties into the document. 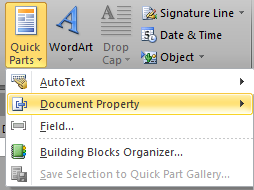 Select the area in the document you want to information to show. 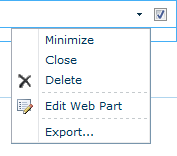 Select Insert on the tab and click on Quick Parts. 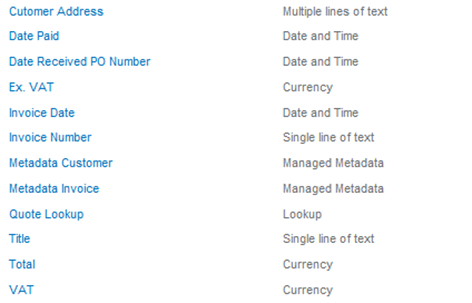 When you navigate down and look at the list under Document Property there will be a big list which are default properties for any word document but you will also notice the SharePoint Site Columns names. As you select the one you want you will see them appear in the document. 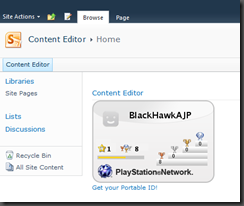 One of my most popular blogs is Adding a Banner to your SharePoint but is for SharePoint 2007. Here is how to do it for SharePoint 2010. You need to create a banner at the top of the page. The image by default is replicated so I have created a large wide image which is 2500px by 100px you won’t see the replication. We need to create our own CSS file which will be uploaded with the banner image into the same folder. On your desktop create a new file and call it newcss.css. Open the file in notepad and add the below code. When your site is loaded, SharePoint will also look at this CSSfile but first we must tell SharePoint to look at this file. As mentioned above we need to tell SharePoint to load the new CSS file. We are going to add a line of code that will load the new CSS file. Add the code to line 36 on its own line. 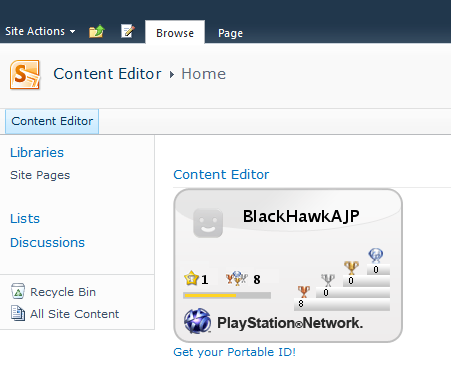 All we need to do now is upload the CSS file and the banner image. 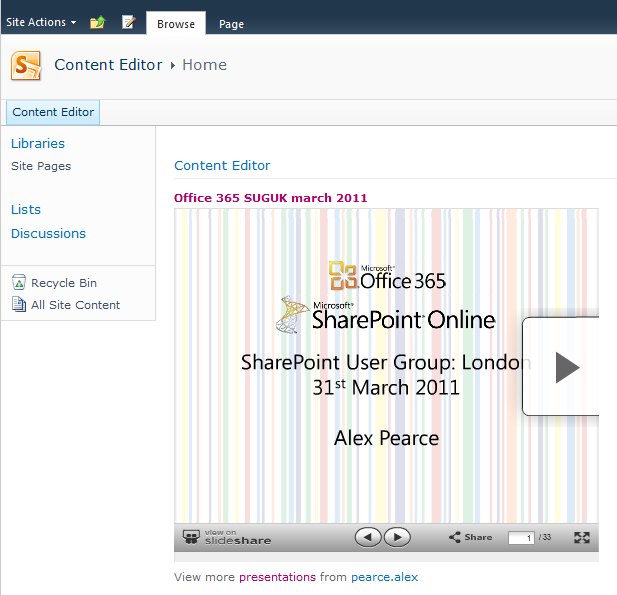 Down the left hand side of your SharePoint page click on ‘All Site Content’ and open the Site Assets library. Upload the CSS and banner image into this library. When you next refresh your page you will be able to see your banner on the page. Big thanks and congratulations to Paul Martin who submitted his banner to me. 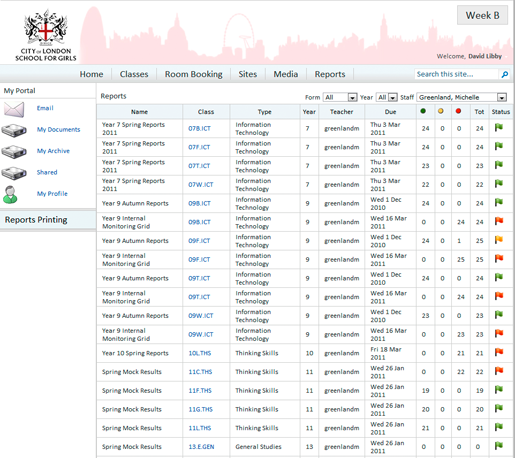 Microsoft and cScape have released a case study on the implementation of SharePoint 2010 at the City of London School for Girls. In a joint partnership between the school and cScape a strategic plan was put together to implement integration between the schools MIS (management information system) and SharePoint 2010 so information about pupils could be presented to teachers, parents and pupils. There are several games consoles out now that use some kind of social networking to share scores, points and collaborate with other games. 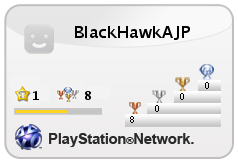 Personally I’m more of a XBOX kind of guy but I also have a PlayStation mainly because its a Blu-ray player as well as having BBC iPlayer, ITV Player and 4 on Demand so I have a PlayStation Network account. You will notice fro the screen shot that when you generate your Portable ID that you get an embed option and we can copy this into SharePoint. 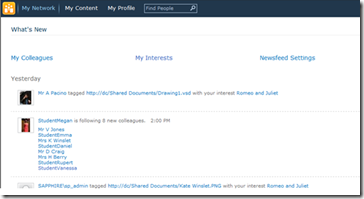 You can see how to do embed into SharePoint here. Last week I wrote a post about using the content editor web part and embedding external content into your site. You can read the post here Embed YouTube and other code into SharePoint 2010. I thought I would be a good idea to show a few others examples of what you can embed. In the original post we looked at YouTube so in this post we are going to look at SlideShare. 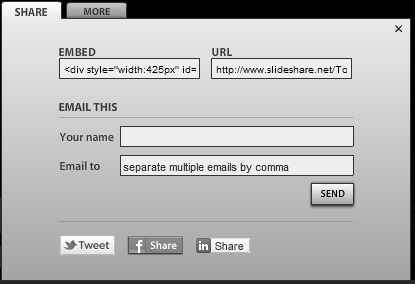 Copy the embed content and paste it into a new text file. 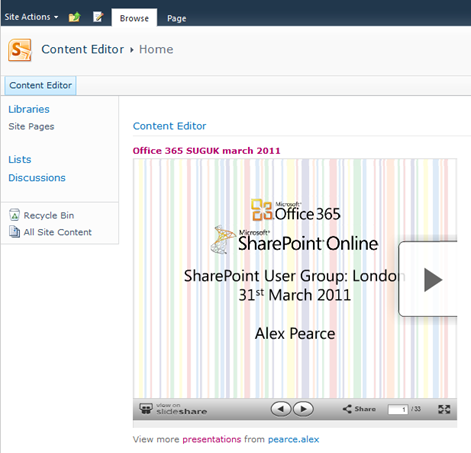 When we follow the steps in the original post we can then see our presentation in our SharePoint environment. SharePoint 2010 Service Pack 1 now available. Its been a busy day at Microsoft with Office 365 being released but they have also released Service Pack 1 for SharePoint 2010. Note: Always test any updates including service packs in your test environment before implementing them in your live environment. SharePoint likes to keep code safe and when adding embedded code SharePoint takes a look and decides whether or not to it likes it. And a good example of this is YouTube content. 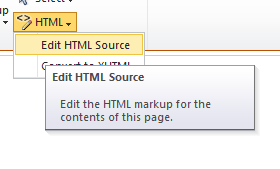 When we navigate to our SharePoint we select the Edit site button and then click on HTML and select Edit HTML Source. I’ve selected a video from YouTube and have copied the embedded code. I’m now going to paste this code into the window that opened up. When we select OK to save this code and expect the YouTube video to load on our page we get this yellow warning message appear and then disappear very quickly and the YouTube video appears on our page. When we click save to save the page the YouTube video disappears and when we go and check the HTML Source it is now completely empty. There are many ways to resolve this issue and one of these includes stopping SharePoint from removing the embedded code but this isn’t realistic. Instead we are going to save the content of the embedded code to a text file, upload it and then use a web part to pull this information viewing it as HTML and loading the content. Open notepad and paste the embedded code into it. Save the file and upload the file into SharePoint. A good place would be the SiteAssets library. 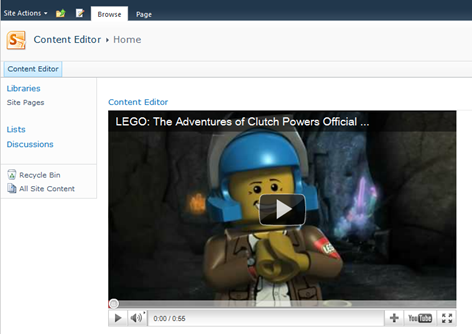 Add a content editor web part to your page and edit the web part. In the properties box down the right hand side you will see 3 dots, click on these to open up a new windows. 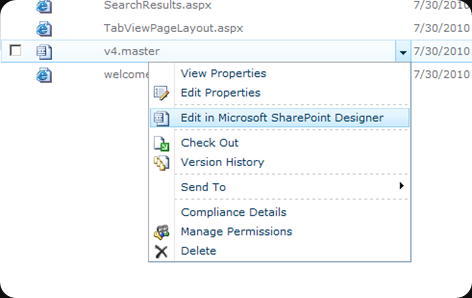 When you now save your SharePoint page you will always have your embedded code. This doesn’t necessarily have to be a YouTube video. It could be flash code, html code or any other embeddable code. SharePoint Learning Kit is currently used in many industries but it has mainly been developed to be used in education sector. This E-Learning Tool can bring a different element of learning to pupils giving them access to their marks on work automatically having submitted it to the server. 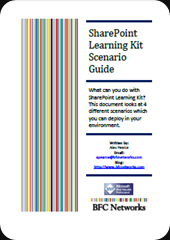 In this scenario whitepaper we will look at 4 different ways SharePoint Learning Kit can be used ranging from a single site to a whole school to multiple schools.